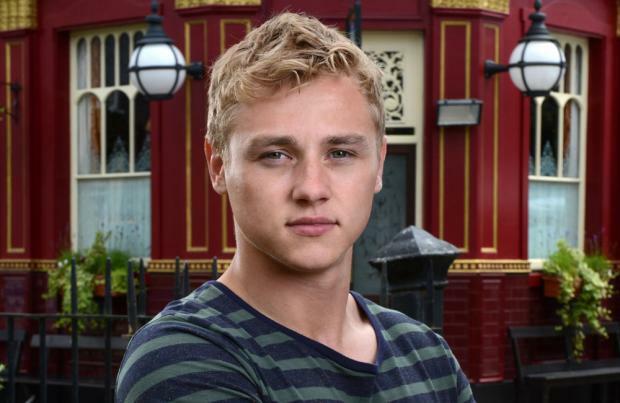 'EastEnders' actor Ben Hardy thinks he knows who killed Lucy Beale. The 23-year-old actor, who plays Peter Beale in the BBC One soap, has confessed he believes he's figured out who's responsible for the murder of his on-screen sister Lucy (Hetti Bywater) earlier this year. Speaking about how he thinks Peter and Lucy's father Ian Beale (Adam Woodyatt) killed her, he said: "I know 100% certain that Ian is the murderer. [Executive producer] Dominic Treadwell-Collins has said that the killer won't necessarily be caught and go to jail. "So we're all constantly talking about it at work and coming up with new theories. It's exciting stuff." However, Ben's recent announcement that he's quitting the popular drama in the New Year has left viewers questioning whether Peter did kill his own twin following revelations he'd sold her drugs. Ben told soapsquawk.co.uk: "I can see why people think Peter is the prime suspect, but his motive is very thin." Commenting on the idea that Lucy being their father's favourite led him to kill her, he added: "There's the perception that Ian loved Lucy the most, but I used to think my own brother was the favourite - and I'd never kill him!"